The Madreiter family were among the first families to rent rooms to guests in the 1950s. For more than 50 years, the Madreiter family with their Embachhof holiday accommodation has stood for holidays of the highest quality. This remains the same today, because we want our guests to feel completely at home. 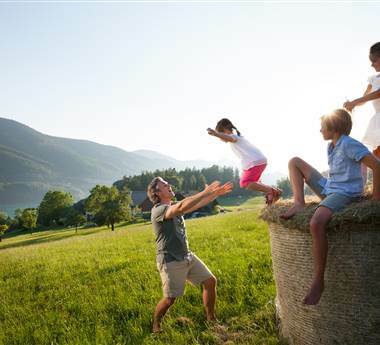 The Embachhof is a stately Pinzgau farmhouse from the 17th century. For more than 50 years, this historic house has been not only an organic farm, but also a small hotel in Leogang with 20 rooms for connoisseurs from all over Central Europe. Since 2007, guests can also stay in our cosy, eco-friendly and sustainably built four-star luxury chalets. The Steinalmdorf chalet village is the first chalet village in the Skicircus Saalbach-Hinterglemm-Leogang region. 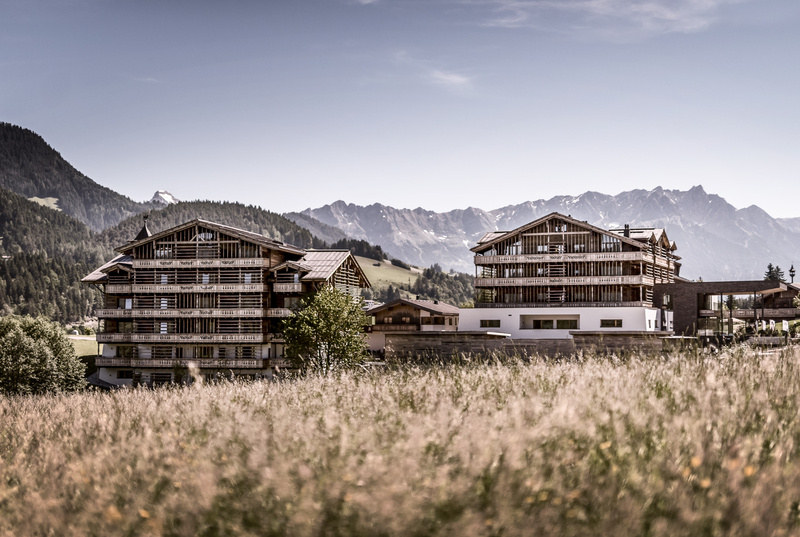 The alpine PURADIES luxury chalets with exclusive country house decor, together with the Embachhof hotel, harmoniously blend into the landscape and create an attractive architectural ensemble. THE NEW EMBACHHOF - with our continued development, the Embachhof has become part of the heart of the PURADIES hotel and resort. The new rooms and suites will satisfy every need. THE STEINALMDORF CHALET VILLAGE- These are true luxury chalets: a place where reassuring solitude and the comfort of a four-star hotel perfectly complement each other. The Madreiter family has always stood for innovation and a pioneering spirit. They are founding fathers of tourism development in Leogang and founders of the Leogang mountain railways. So it is not surprising that one of the most beautiful hotels in Leogang was created in the village's most beautiful spot. The name PURADIES - a play on the German word for "paradise" - sets the scene perfectly for the development of the Embachhof & Steinalmdorf.